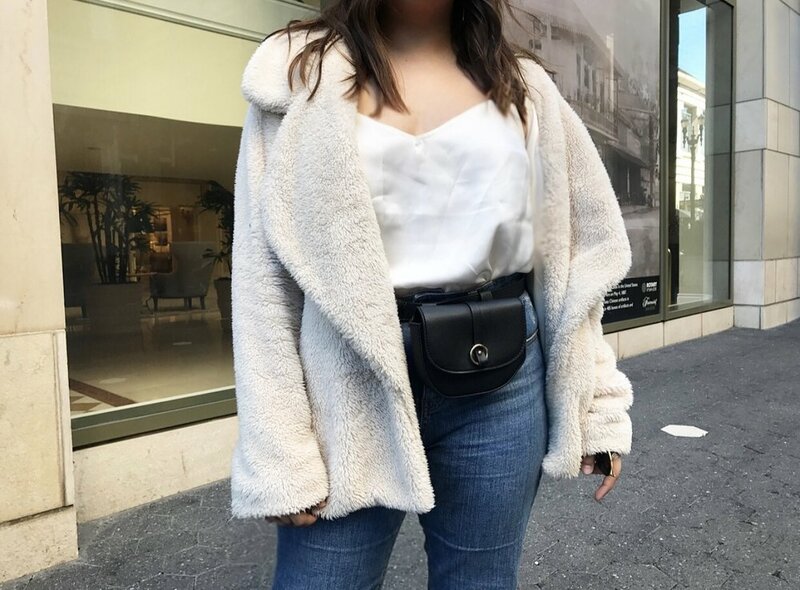 One thing I missed in my favorite Spring | Summer '18 trends blog was fanny packs/belt bags! I completely forgot to put that in there. I use to think they were tacky in all honesty but I've grown to love most things I hated years ago. I love love love fanny packs/belt bags right now & don't know when I'm going to stop buying them. They're the best type of bag to take out while you're shopping bc you don't have to worry about your bag falling off your arm or shoulder or readjusting your cross body. This one I'm wearing is very small though. It can literally only fit your card/money, maybe a lipstick & your iPhone if it isn't a plus (mine is a 7plus & it fits but wont close & is extremely tight). I do want to get more, probably slightly bigger. I will be posting them when I do in a vlog in the future & discuss different ways of wearing them, kinda like I did in the bottom right photo, how good they are when it comes to fitting your things etc.. Oh! & I can't go through this without mentioning my new favorite pair of booties! I am obsessed!! They're actually from Nine West but are no longer available online so I will be listing similar ones at the bottom. I can wear these all day everyday & my feet feel fine! The color of these are the perfect vibrant red. I love the heel shape & I don't know how anyone else is when it comes to the size around your ankles but I am very picky when it comes to that & I hate when booties are really tight around the ankle (unless it's a sock boot) or when they are short & loose. I love the way these wrap around at the ankle. I really don't have one negative thing to say about them. They do make any basic outfit really nice, definitely look into getting some! Links to my exact outfit is on the right side of this text, similar pieces will be down below. Just click on the pictures below if you are ready to buy!